Although this is a clear and very well executed painting, I stick by my initial reaction that this is not by Richard Ansdell RA. It is beautifully painted but has a ‘photogenic’ quality about it which does not sit well with Ansdell’s work. It looks too ‘modern’. 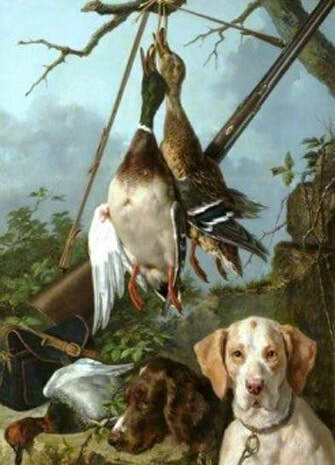 The Spaniel and Pointer are well described as are the rocks and sky, but the composition is bad and I have never yet come across an Ansdell painting which isn’t beautifully composed unless the canvas has been cut down at some stage which of course does happen. Please check that this isn’t the case. I cannot put Richard Ansdell’s name to this painting.